We hope you find this interesting. 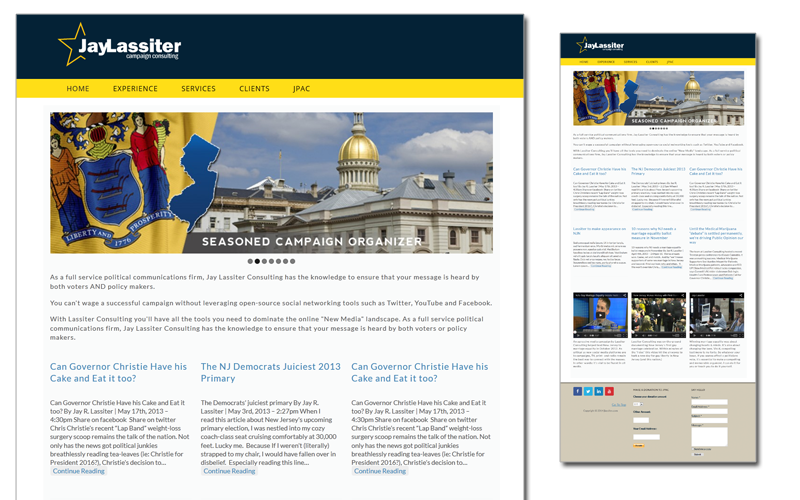 Jay Lassiter is a preeminent ‘NetRoots blogger and consultant in the New Jersey political arena. Jay needed identity and a web presence that would allow him to market his experience to political campaigns and issue-oriented organizations. Position Jay as a permanent fixture in an arena that is known for transience. Showcase Jay’s new media subject matter expertise, all while making him easily recognizable and credible as a political operative. The logo illustrates his political roots and the site echoes the design of many campaign sites, so that the target audience will feel as though Jay speaks their language.